The name of Haryana instantly conjures up the image of a State which astonishingly combines both-antiquity and plenty. The Vedic land of Haryana has been a cradle of Indian culture and civilization. Indian traditions regard this region as the matrix of creation of northern altar’ where Brahma performed the pristine sacrifice and created the universe. This theory of creation has been confirmed to a large extent by archaeological investigations carried out by Guy E. Pilgrim in 1915, who has established that 15 million years ago, early man lived in the Haryana Shivaliks. The Vamana Purana states that King Kuru ploughed the field of Kurukshetra with a golden ploughshare drawn by the Nandi of Lord Shiva and reclaimed an area of seven Kosas. Replete with myths, legends and vedic references, Haryana’s past is steeped in glory. It was on this soil that saint Ved Vyas wrote Mahabharata. It was here, 5,000 long years ago that Lord Krishna preached the gospel of duty to Arjuna at the on set of the great battle of Mahabharata:”Your right is to do your duty and not to bother about the fruits (Outcome) thereof !” Since then, this philosophy of the supremacy of duty has become a beacon to succeeding generations. The Mahabharata knows Haryana as the land of plentiful grains (Bahudhanyaka) and immense riches (Bahudhana). Before the Mahabharata war, a battle of ten kings took place in the Kurukshetra region. But it was the Mahabharata fought for the highest values of righteousness which gave to the region world-wide fame because of the profound and sophisticated thought expounded in the holy Bhagavadgita by Lord Krishna recited to the quivering Arjuna. The region has been the scene of many a war because of its being ‘A Gateway to North India’. As years rolled by, successive streams of the Huns, the Turks and the Tughlaqs invaded India and decisive battles were fought on this land. At the end of the 14 century, Tamur led an army through this area to Delhi. Later, the Mughals defeated the Lodhis in the historic battle of Panipat in the year 1526. Another decisive battle was fought in the year 1556 at this very site, establishing the supremacy of the Mughals for centuries to come. Towards the middle of the 18th century, the Marathas had established their sway over Haryana. The intrusion of Ahmed Shah Durrani into India, culminating Maratha ascendancy and the rapid decline of the Mughal empire, leading ultimately to the advent of the British rule. Indeed, the history of Haryana is the saga of the struggle of a virile, righteous, forthright and proud people. From ancient times, the people of Haryana have borne the main brunt of invaders and foreign hordes with their known traits if bravery and valour. They have survived many an upheaval, upholding the traditional glory and greatness of the land to this day. The epoch-making events of yore, the martyrdom in the First War of Indian Independence in 1857, the great sacrifices in the freedom struggle, and the display of outstanding valour, unflinching courage, and heroism in recent years are all in keeping with the character of this land of action. Bold in spirit and action, the people of Haryana have formed a bulwark against forces of aggression and anti-nationalism. Haryana has always remained a rendezvous for diverse races, cultures and faiths. It is on this soil that they met, fused and crystallized into something truly Indian. Hindu Saints and Sikh Gurus have traversed the land of Haryana spreading their message of universal love and brotherhood. Sihi in Faridabad, the birth place of great Hindi poet Surdas, is another nucleus of culture in Haryana while the legend of Lord Krishna is very evident in the lives of the people. The love for cattle and the abundance of milk in the diet of Haryanavis persists to this day which gave to the region world-wide fame. 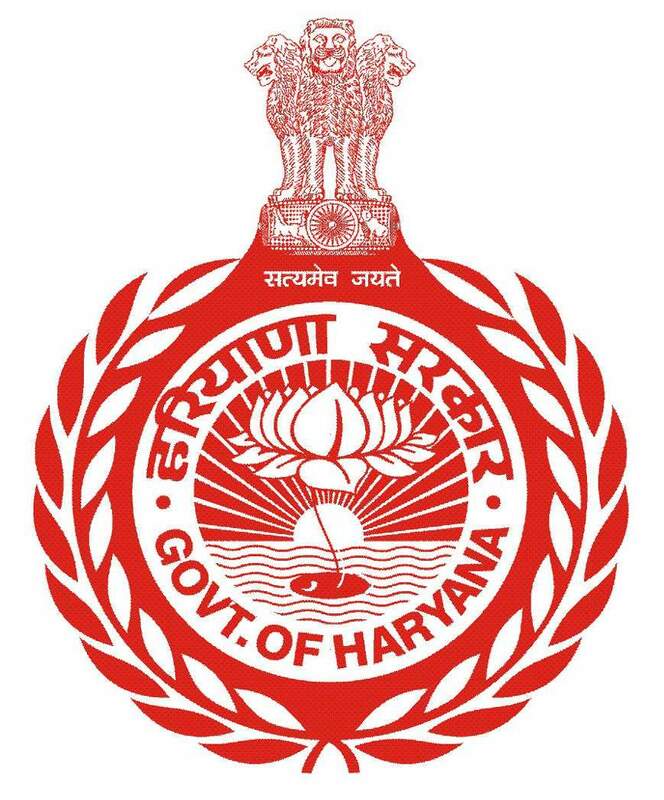 Haryana emerged as a separate State in the federal galaxy of the Indian Republic on November 1,1966. With just 1.37% of the total geographical area and less than 2% of India’s population, Haryana has carved a place of distinction for itself during the past three decades. Whether it is agriculture or industry, canal irrigation or rural electrification, Haryana has marched towards modernity with leaps and bounds. Today, it enjoys the unique distinction in India of having provided electricity, metaled roads and potable drinking water to all its villages within record time. Haryana is among the most prosperous states in India, having one of the highest per-capita income.